The Aracanhus are vaguely humanoid insect-like demons. 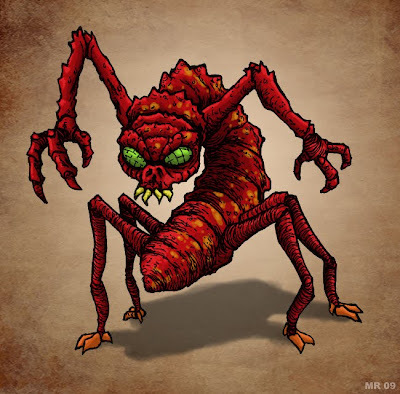 They inhabit vast underground tunnel cities, which stretch for hundreds of miles under Hell's lowest levels. Although they are not particularly physically powerful, their massive numbers and quick breeding rates usually allow them to take down any who oppose them.